Join the celebration on Sunday, March 17, from 10am to 6pm! Hundreds of Persian-American artists, musicians, singers, dancers and traditional players will assemble to ring in the Persian New Year (Nowruz) on Sunday, March 18, 2018 at Tysons Corner Center, in McLean. 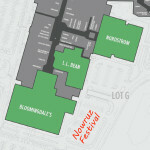 Combined with more than 75 vendors offering traditional foods, jewelry, crafts, books and other traditional products, the Nowruz Festival will offer a family-friendly venue for the celebration. 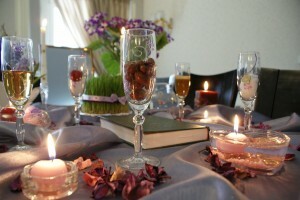 Of all the Persian national festivals, the New Year celebrations are at once the most important and the most colorful. This festival embodies a wealth of ancient rites and customs, and is about the only one in Persia which is not confined to the traditions of only one religious group. It symbolizes that continuity of the ancient Persian culture which has survived so many adversities and vicissitudes. In harmony with the rebirth of nature, Nowruz always begins on the first day of spring marked by vernal equinox, or Tahvil. On that day -which may occur on March 20 – 21 or 22 – the sun crosses the celestial equator. 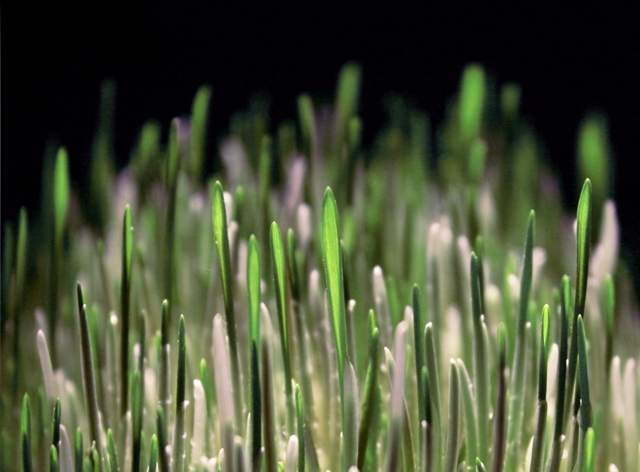 As far back as records go, Nowruz has been, either in fact or by intention, a celebration of early spring, when the sun begins to regain strength and overcome winter’s cold and darkness and when there is a renewal of growth and vigor in nature. Zoroastar’s people were demonstrably animatists, that is, they apprehended a cognitive spirit, mainyu, in all things, tangible or intangible. So for them this return of spring would have represented an annual victory for the spirit of the sun; and Zoroaster saw in it also, it appears, the symbol of a still more glorious victory to come. This was the special hope which he offered his followers, that the present struggle between good and evil, on all planes, physical, moral and spiritual, will end in total victory for the good. Sabzeh or sprouts: Usually wheat or lentil representing rebirth. Samanu is a pudding in which common wheat sprouts are transformed and given new life as a sweet, creamy pudding and represents the ultimate sophistication of Persian cooking. Seeb means apple and represents health and beauty. Senjed the sweet, dry fruit of the Lotus tree, represents love. It has been said that when lotus tree is in full bloom, its fragrance and fruit make people fall in love and become oblivious to all else. Seer which is garlic in Persian, represents medicine. Somaq sumac berries, represent the color of sunrise; with the appearance of the sun Good conquers Evil. Serkeh or vinegar, represents age and patience. A few coins placed on the sofreh represent prosperity and wealth. A basket of painted eggs represents fertility. A Seville orange floating in a bowl of water represents the earth floating in space. A goldfish in a bowl represents life and the end of astral year-picas. A flask of rose water known for its magical cleansing power, is also included on the tablecloth. Nearby is a brazier for burning wild rue, a sacred herb whose smoldering fumes ward off evil spirits. A pot of flowering hyacinth or narcissus is also set on the sofreh. A mirror which represents the images and reflections of creation as we celebrate a new the ancient Persian traditions and beliefs that creation took place on the first day of spring. On either side of the mirror are two candlesticks holding a flickering candle for each child in the family. The candles represent enlightenment and happiness. 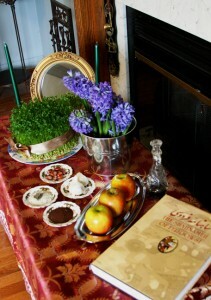 The actual Nowruz ceremonies begin on the eve of the last Wednesday of the outgoing year. Early in the evening of that day, referred to as chaharshanbe souri or “Red Wednesdayˮ, several rather large bonfires are made; every member of the family jumps over the fire and says, “sorkhi-e to az man, zardi-e man az toˮ, which literally means “Give me your redness and take away my wintry sallow complexionˮ. The jumping over the fire is followed by a get together in which nuts and fruits are served. This party is mostly for the benefit of the children of the family who are entertained, long into the night, with stories that they will remember with joy throughout their lives. While the party goes on the fire dies out. The ashes are gathered and, as the symbol of the bad luck imposed by winter, are taken out of the house and buried in the fields. Haji Firuz is the traditional herald of Nowruz. He oversees celebrations for the new year perhaps as a remnant of the ancient Zoroastrian fire-keeper. His face is covered in soot and he is clad in bright red clothes and a felt hat. While ushering in Nowruz, Haji Firuz plays a tambourine and sings “Haji Firuz-e, sal-i-ye ruz-eˮ (It is Haji Firuz time, It happens one day in a year). People gather around him and his troupe of musicians and listen to them play the drum, saz or kamancheh, and dance through the streets with tambourines and trumpets spreading good cheer and the news of the coming New Year. The thirteenth day of the New Year festival is called Sizdah Bedar (meaning «thirteen outdoors»). On this day people go out in the nature in groups and spend all day outdoors in the nature in form of family picnics. It is a day of festivity in the nature, where children play and music and dancing is abundant. On this day, people throw their sabzeh away in the nature as a symbolic act of making the nature greener, and to dispose of the bad luck that the sprouts are said to have been collecting from the household. The thirteenth day celebrations, Seezdah Bedar, stem from the belief of the ancient Persians that the twelve constellations in the Zodiac controlled the months of the year, and each ruled the earth for a thousand years. At the end of which, the sky and the earth collapsed in chaos. Hence, Nowruz lasts twelve days and the thirteenth day represents the time of chaos when families put order aside and avoid the bad luck associated with the number thirteen by going outdoors and having picnics and parties.